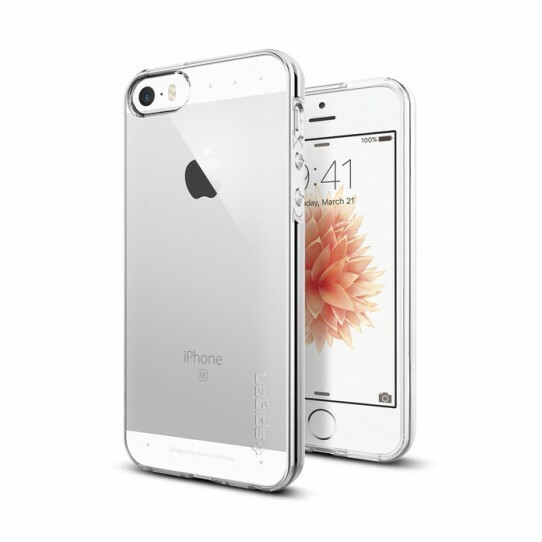 Almost invisible protective armor: Spigen’s Liquid Armor™ case for the iPhone SE is clear and thin highlighting the original look and shape of your device. Despite its thin TPU material, Liquid Armor™ offers durable scratch and bump protection. To top it off, the TPU gives your phone extra grip for comfort and easy usability through its bulk-free minimalist Skin Fit™ feature.